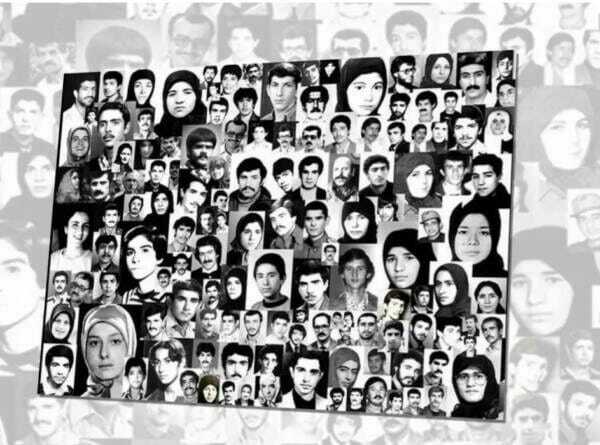 Iranian organizations in 30 major cities and capitals in Europe and North America, on Saturday, will simultaneously hold commemorations for 30,000 political prisoners who were massacred in 1988. 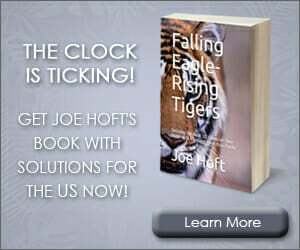 The simultaneous events will take place against a backdrop of anti-government protests that have continued for the past eight months and have shaken the regime to its core. The fact of the matter is that the perpetrators of the 1988 massacre continue to enjoy impunity. Even worse, dozens of the perpetrators of the 1988 massacre are currently among the most senior officials of the Iranian regime and are directly involved in suppressing anti-government protests that have repeatedly has occurred in Iran since early 2018. 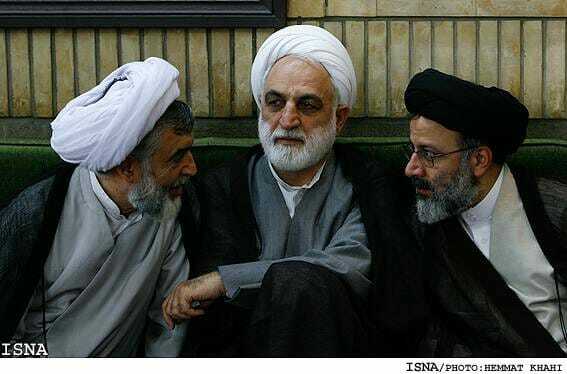 Hossein-Ali Nayyeri, Head of the Supreme Disciplinary Court for Judges and Vice President of the Supreme Court. The Saturday gathering is titled “30th anniversary of the massacre of 30,000 political prisoners in Iran – the roots of the uprising and its prospects”. Representatives of Iranian associations, and political and social dignitaries from various countries, will address the events. Thousands of Iranians, members of the associations, will take part in the events that will be held in 30 cities. They urge the international community including the US to support the Iranian people’s uprising and to adopt a firm policy regarding human rights abuses by the regime. The simultaneous gatherings are part of an international campaign to call on the UN to launch an inquiry into the 1988 massacre and to put an end to the impunity of the authorities involved in it. According to international human rights organizations and human rights experts, the massacre is one of the most egregious cases of crimes against humanity since World War II. 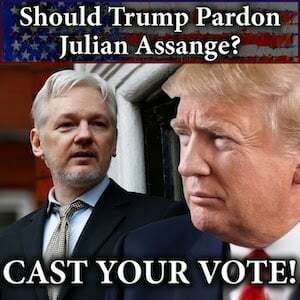 Following a fatwa by Ayatollah Khomeini, the founder of the theocracy ruling Iran, more than 30,000 political prisoners, who were serving their terms and remained loyal to the cause of democracy and human rights, were executed in a few months in 1988. The overwhelming majority of the victims were activists of the People’s Mojahedin Organization of Iran (PMOI/MEK) who remained loyal to the organization. Upon Khomeini’s order for speedy executions, “Death Commissions” were established throughout the country. The commissions condemned the prisoners to death in hearings that lasted only a few minutes. The victims were buried in secret mass graves. Recently, Amnesty International has warned of the regime’s efforts to destroy the evidence of this massacre, including some of the mass graves. So far, no independent international investigation has been carried out into the massacre, and there has been no accountability for the perpetrators. In an audio file recorded at the height of the massacre in 1988 and released in 2016, Khomeini’s successor at the time, Hossein Ali Montazeri, explicitly told the Tehran Death Commission that this was the most horrific crime in the history of the Islamic Republic, prompting Khomeini to sack Montazeri in March 1989. Subsequent to Khomeini’s death in June 1989, Ali Khamenei became the supreme leader of the regime. Following the revelation of Montazeri’s audio file in August 2016, a massive social movement to call for justice for victims of this massacre pervaded Iran. 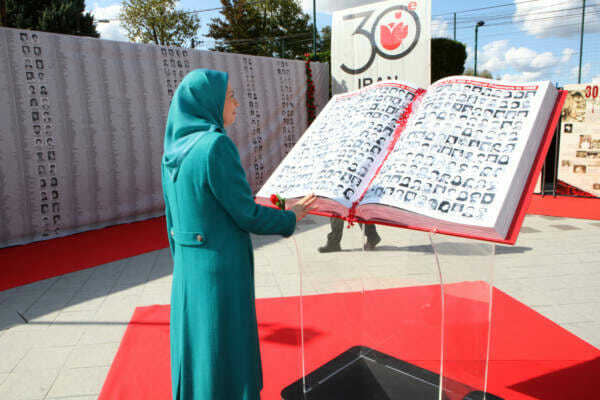 Opposition leader Maryam Rajavi stands in silence at the monument to the 30,000 victims of the Iranian Khomeini regime.